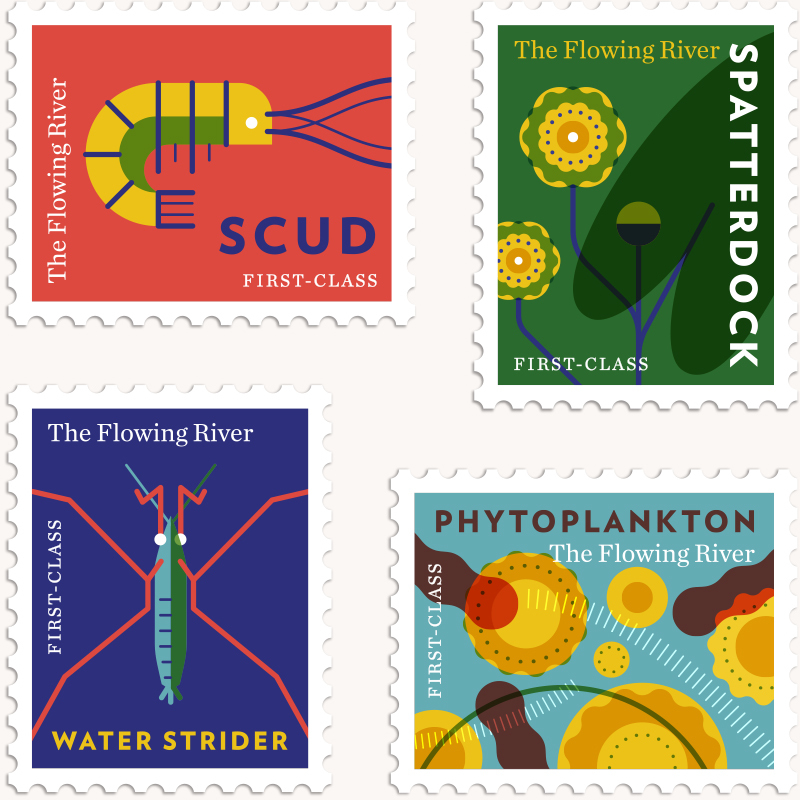 As part of the conservation efforts of the historic Fairmount WaterWorks, Philadelphia’s municipal water works originally designed in 1812, these stamps adorned print collateral spreading awareness about the river ecosystems in our city. 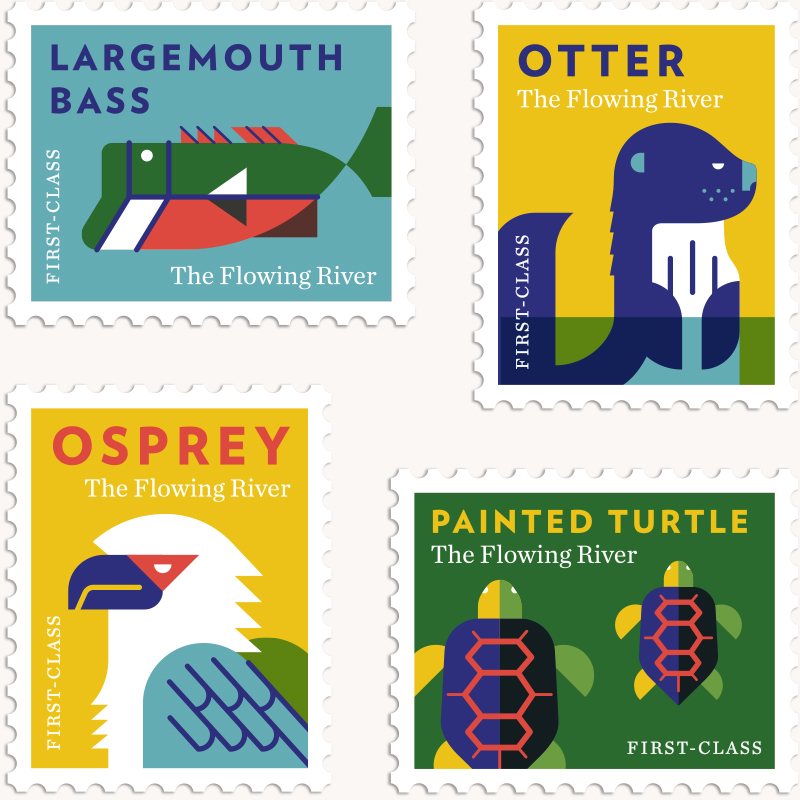 We call these guys Friends of the River and we’re super glad they are thriving in a city river that has had its share of tough times. Say hello to them on your next hike, stroll, or swim. Actually, readers, DO NOT swim in the Schuylkill.